“Exhausted, thanks to everyone that came down to the @abookfair and bought something. Time for a brew”. “Successful @abookfair event here on Saturday. Thanks to all for attending”. 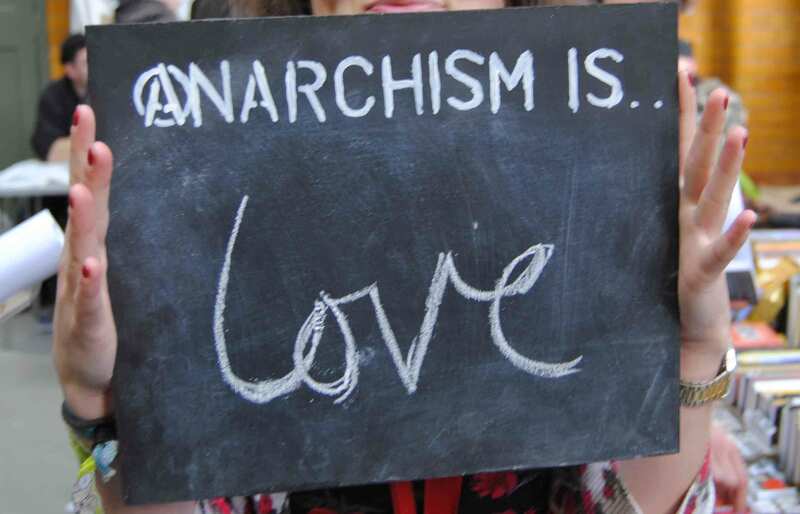 “Spending a day at the anarchist bookfair I could see why they attract such a mixture of ages and people. It is a movement that does respond to the creativity that most people have within themselves. It does offer a more direct solution to some of the problems that young people face including homelessness, low pay and isolation. And at a time when more traditional organisations such as trade unions and the left are struggling to cope with the Con-Dem attacks it seems that the anarchists, to use an old adage, understand that the personal is political”. “I hear that the Manchester and Salford Anarchist Bookfair was a great success on Saturday 3 December 2011 and I’m very glad to hear that you got so many visitors. We hope to be able to host another Bookfair again next year”. “Leeds Anarchist Black Cross would like to say a huge thank you to the organisers of the Manchester and Salford Anarchist book fair which was held today at The People’s Museum. The event was well organised and there was a great atmosphere in a venue that proved ideal for such an occasion. Leeds ABC sold a wide range of literature and t-shirts raising nearly £200 that will go directly to supporting anarchist and antifascist prisoners. Thanks to everyone involved in the organising, anyone who bought stuff from us or came to chat to us about the work we do”.